Elizabeth, thank you for coming! Please do tell us a bit about Once A Duchess. First of all, thanks for inviting me here today, Amanda! I’m so pleased to have the chance to visit with you and your readers. I was born in South Carolina on my big sister’s thirteenth birthday. I’ve lived in the state most of my life, with a few periods spent elsewhere, including Atlanta and France. My college major was English literature, which isn’t as useful as one would think. I minored in French, which is more useful than I expected it to be. I’ve written in some capacity forever, but 2004 was the year I decided to start writing novels. My husband had lost his job in a mass layoff and we were living in my parents’ basement with our two kids. It was a really difficult time for us. I felt like life had spiraled out of my control. Writing was a way for me to take back some of that control. I’d always wanted to write a novel, and I decided that was the time to go for it. It didn’t cost anything for me to sit down and start working on my first manuscript – so it was a cheap hobby – and writing was a nice escape from the stress of our situation. After I hammered out that first, terrible manuscript I was hooked, and have been writing novels off and on ever since. I am a long-time reader, but it was my guilty pleasure for years. For the first two novels I wrote, I tried to do something more “legitimate.” My first manuscript was contemporary women’s fiction, and the second was a fantasy novel. One day, I was reading a Regency romance, and a light bulb finally turned on. I realized that when I wanted to relax, I turned to romance. When I wanted to be entertained, or take an emotional journey, I turned to romance. There is a lot of darn good writing in romance novels. It has an undeserved stigma as mindless fluff, but nothing could be further from the truth. When I stopped buying into the stigma and gave myself permission to write what I loved, I blossomed. I try to be as organized as possible before I start writing. Character sheets, synopsis, chapter outlines, the whole shebang. I’m a terrible pantser. Within the framework I establish there’s still plenty of room for spontaneity. I only outline a few chapters at a time, in case the story takes an unexpected turn. But I need that general road map, or my stories would wander around forever. I have to credit Judith McNaught first and foremost. 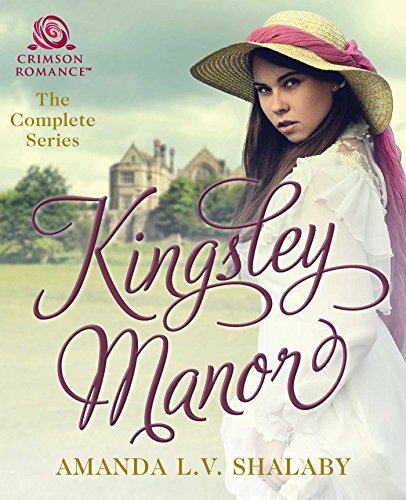 It was while I read her novel Almost Heaven that I realized Regency romance was what I wanted to do as a writer. I admire novelists with sparkling wit, like Celeste Bradley and Tessa Dare. Loretta Chase is another influence. The way she can make me laugh on one page and make my unmentionables combust on the next is quite an inspiration. For Once a Duchess, my hero was definitely the more difficult of the pair. From the outset, we learn that the heroine, Isabelle, is living in near-poverty because she was divorced (During a time in which such a scandal spelled social devastation.). Her former husband, Marshall, is the cause of her ruin. How could I make him a worthy hero in the eyes of the reader? This was the challenge for me, and he was definitely a source of strong opinions from my early readers. I always believed in Marshall; he was a good man who had made a terrible mistake. I had to find a way to present him to others the way I saw him. I’m drawn to characters who are somehow flawed. The internal story arc of a character is ultimately what makes a novel memorable, rather than the external action. We don’t love Pride and Prejudice because Wickham was brought to heel, but because Darcy and Lizzy each overcame the biases in their personalities that kept them apart. SO important. Imperative, really. I’m not satisfied with how many romance heroes and heroines are orphaned – by which I mean all alone in the world, not just deprived of both parents. Very few of us exist in a vacuum. We have families, both the ones we are born into and the ones we choose. Parents, step-parents, siblings, spouses, children, extended relations, dear friends. Our families can be our support system, or they can be the greatest source of our hurt and despair, but they are, in some way, integral to most of our lives. A romance novel creates a new family when the two lead characters come together. It’s important to me to have that take place within the context of the larger community. Once a Duchess was my first Regency, so I boned up on my period history with several general overviews, and then biographies of prominent figures such as the Prince Regent and the Duke of Wellington. I had to learn about the marriage laws that were in place at the time, and the whys and wherefores of divorce. Marshall is a botanist, so I also had to learn about what was happening in the field at the time. I had a lot of fun one day looking at pictures of antique microscopes. Another not so fun day was spent learning about how a horse gives birth, and the ways that can go wrong. It’s amazing how much research goes into writing an historical. I know you know all about that, Amanda! I have built up my own little research library (more of a shelf, really), which I turn to constantly. Clothes, vehicles, hunting seasons, titles of address, the layout of London… It goes on and on. Once a Duchess is the first of a trilogy. Each book stands alone, but readers who enjoyed Once a Duchess will hopefully like seeing some familiar faces in the next two. Once an Heiress is tentatively scheduled for release in March 2013, and Once an Innocent in July 2013. These will also be published by Crimson Romance. I have another novel underway, which is unconnected to the trilogy. It’s Regency with a Gothic flair. I’m very excited about that one, but I’m keeping my lips sealed about it for now. Reach out to the writing community. Writing can be a lonely job, but there is a wealth of support and guidance out there. Online communities, writers’ groups, critique partners… There are lots of ways to connect. Teaming up with other writers is a great way to improve your skills and learn more about the publishing business. 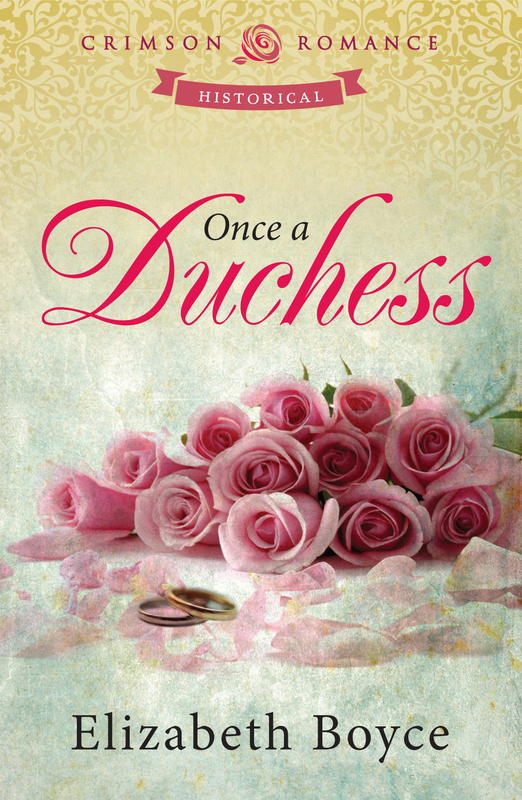 And of course, Once a Duchess is available wherever ebooks are sold! I love what you have to say about the importance of family and community in your novels! Now that I think about it, it is probably one of the things that makes your characters so real and relatable – we see so many different kinds of people loving them, fretting over them, despairing for them. Can’t wait for more! Great interview, Betsy! 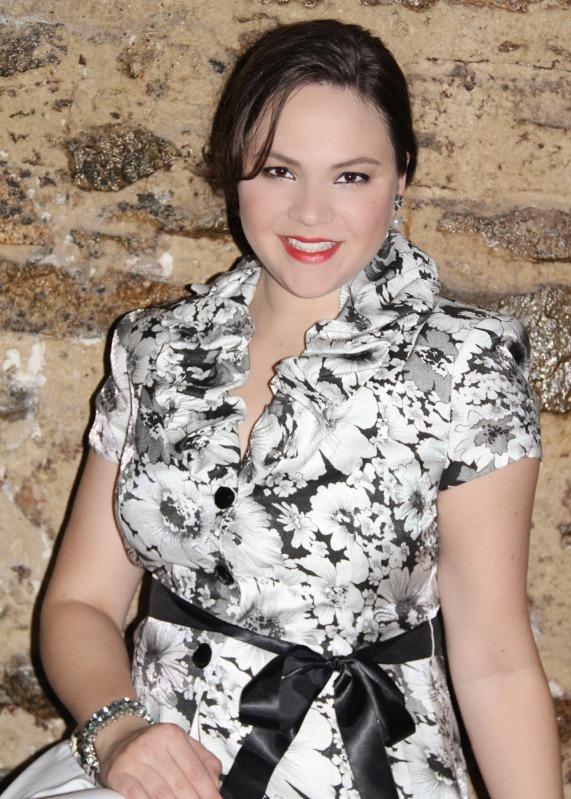 Amanda always asks such great questions that help us uncover your personality. Your trilogy sounds delightful, and I’m putting it on my “to read” list.